Eucerin No Bacter Soap cleanses and purifies sensitive skin. Eucerin NO Bacter Soap is specially formulated for sensitive and problematic skin . It can be used in the shower or bath to clean the body . It is also used to wash the face . Rich in Triclocarban, an anti-bacterial active ingredient, this soap cleanses and purifies the skin. It leaves it healthy and hydrates it thanks to the presence of glycerin (a fatty agent). Practical, it is also useful for preparing men's shaving skin. Hypoallergenic, it is suitable for women and men prone to the discomfort of sensitive skin such as tugging, redness and itching. It can be used daily for optimal efficiency. 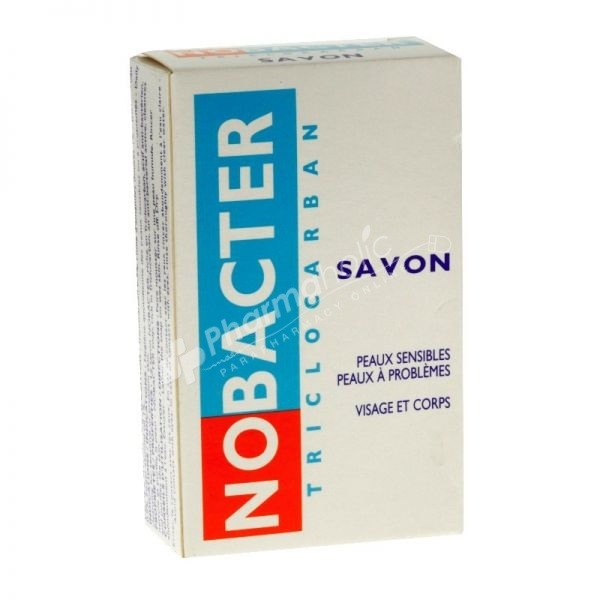 This Nobacter soap slips easily into a toilet bag and goes everywhere with you. It has a soft texture and a creamy foam. It is very pleasant to handle. Lather the soap on damp skin. Rinse thoroughly with water and then wipe dry. Sodium Palmate, Sodium Palmate Kernelate, Aqua, Prunus amygdalus Dulcis oil, Lanolin, Triclocarban, Glycerin, Sodium Chloride, Tetrasodium Etidronate, Tetrasodium EDTA, Fragrance, Linalool, Limonene, Benzyl Salicylate, Citral, Alpha isomethyl ionone.